We used to do leaf pile pictures every year. It’s a tradition. It’s been a forced tradition the last two years as my oldest became a full teen and found it very uncool. I guess I don’t blame her, but I still wish I could sit in a pile of leaves and get up again without aching. 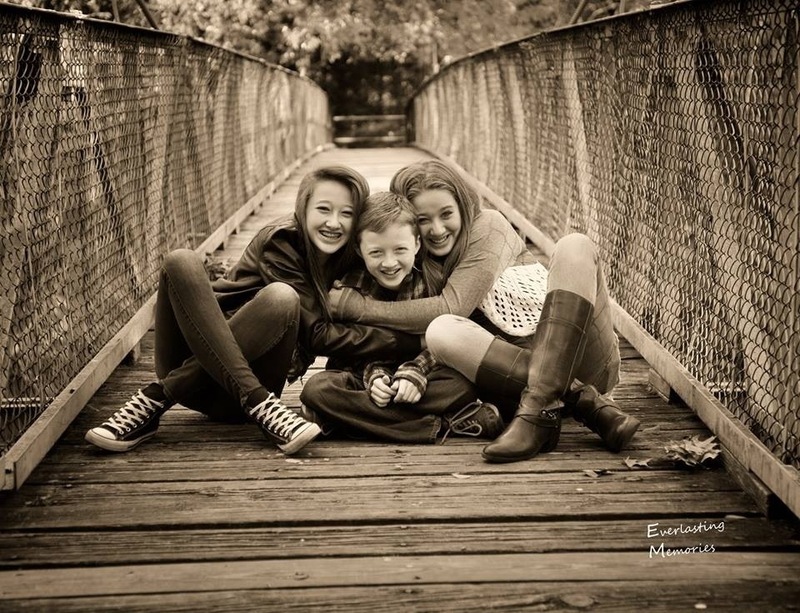 Now I have two teen girls, and one preteen boy. Wow. Time has snuck up on me and stolen my babes. This year I settled for something much better. What? Settling for something better? Yeah, well, I don’t always make sense. 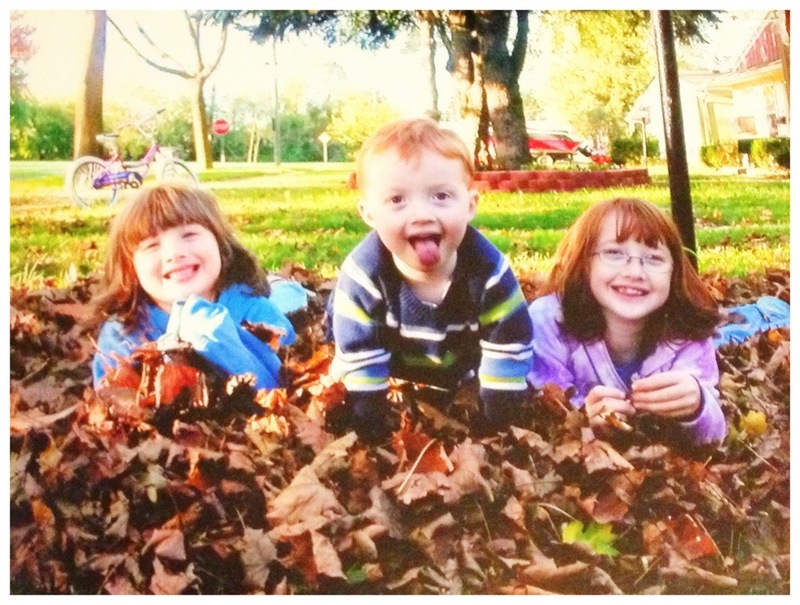 This year we did our family pictures when I would normally be asking leaf pile pictures. My kids aren’t tiny any more. I still have my favorite pics of them from the piles, and one of them is this one here, on the left. It’s a frozen moment in time that reminds me of the ages and stages with just a glance. They were 6, 3, and 7.5 when that was taken. What doesn’t show up in that picture is how hard those stages were, while done simultaneously, ha! I love my new picture for this year. They are now a month shy of 15, 13 and 10. Watching my kids grow up tossing leaves, or in this case, not, is a precious thing as I flip the pages in a book. Time is fleeting. I can only steal moments I manage to capture from the time monster, who insists upon gulping down the childhoods of my kids in whole years. Who knew last year was my LAST year for the leaf picture? It was also the last year for trick-or-treating. The last year for Santa. It was a year of many LAST things… but also a year of first things… many grown up firsts… Like trail rides through the city with Dad on park trails and along riversides. New schools and teachers and new formats for homework have really changed things up, and making huge choices in looking to the future beyond school has my mind racing. The growing up now with these kids is just as hard and intense as it was when they were little; it’s just different.